the importance of the family"
His name was Joseph Manyanet Vives, son of Antonio and Buenaventura. 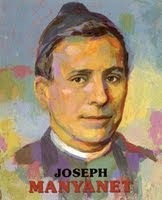 He was born on January 7, 1833 in Tremp (Lleida, Spain), was ordained to the priesthood on April 9, 1959, and consecrated himself as a religious on February 2, 1870. He died in Barcelona on December 17, 1901, considered a man of God by those who knew him. From his family he had inherited the legacy of meaning of duty, love for work and tenacity in the execution of his plans. His mind was clear and exact and he possessed a noble heart. During the course of the twelve years he collaborated with his bishop Dr. Joseph Caixal, who entrusted him with matters of responsibility on the diocesan chancery at Urgell and later in Tremp. Yet if we remember him today, it is not only by these biographical data, but because as priest and founder of two religious institutes, the Daughters and the Sons of the Holy Family, he was the bearer of a singular charisma that allowed him to foresee already in the second half of the 19th century, the importance of the family. 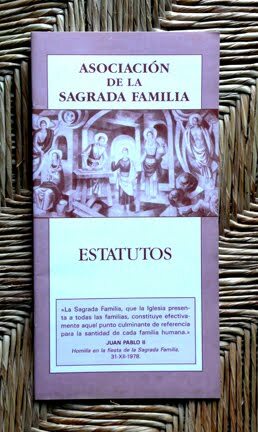 He opened schools, wrote several works, and was a promoter of the temple of the Holy Family in Barcelona. Father Manyanet answered dutifully the call of God, and with loyal and creative simplicity he was father, brother, pastor and teacher for the families, the children and the youth.